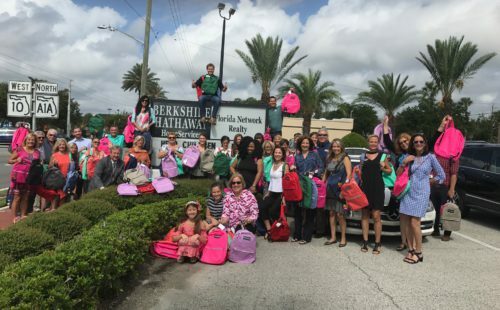 Berkshire Hathaway HomeServices Florida Network Realty collected a record 1,151 backpacks filled with school supplies for Northeast Florida children during its 18th Annual Backpack Challenge. Last year, the company collected a then-record 1,011 backpacks for local children during the Backpack Challenge. The backpacks and school supplies collected by the real estate firm during the campaign were donated to students throughout Northeast Florida via Dreams Come True, Florida Department of Juvenile Justice – Office of Prevention, Orange Park Junior High School, BEAM – Beaches Emergency Assistance Ministry, Mayport Elementary School, Operation New Hope, Boys & Girls Club of Northeast Florida, Crookshank Elementary, Osceola Elementary and Charles E. Bennett Elementary School. 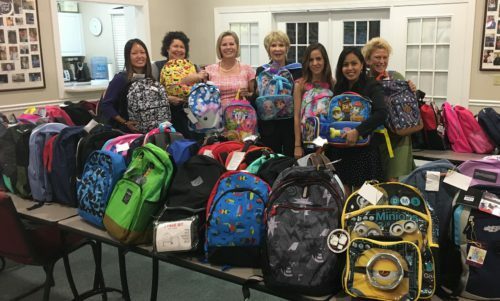 During the campaign, backpacks and school supplies were collected at Berkshire Hathaway HomeServices Florida Network Realty offices throughout Northeast Florida. The backpacks were purchased for students in kindergarten through grade 12, and filled with school supplies, such as pens, pencils, paper and notebooks.